Justin Bieber made the dream of a very special girl come true on Monday. 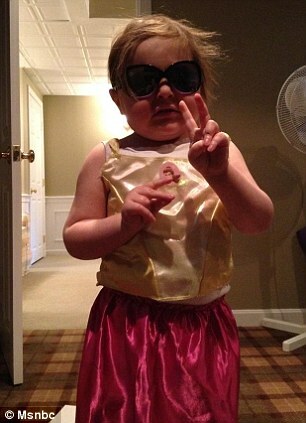 When the pop sensation heard about the plight of six-year-old fan Avalanna Routh, who’s suffering from a rare form of brain cancer, he arranged for the little girl and her family to fly from Massachusetts to New York to meet with him. Routh, who has an incurable form of cancer called Atypical Teratoid Rhabdoid Tumors (AT/RT), is a huge fan of The Biebs. And thanks to social networking, within days of a Facebook page devoted to the sick girl being posted, Bieber’s manager Scooter Braun learned about her one desire to meet her pretend “husband” Bieber. On Monday, in his New York hotel room, Bieber hung out with Routh for two hours, playing Candyland, eating cupcakes and Sour Patches Kids — and even let her touch his hair. When their get-together was over, Bieber and Routh signed each other’s hands. He followed that up later with, “that was one of the best things i have ever done. she was AWESOME! Feeling really inspired now! #MrsBieber,” and “got some really great ideas from today. 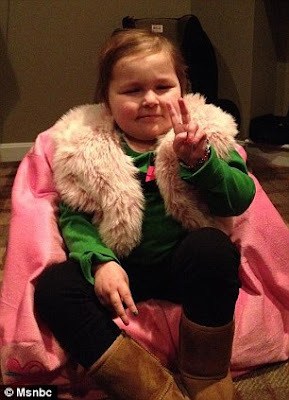 ways to #giveback -#MrsBieber really inspired me. really”. Check out some video below about Bieber’s meeting with Routh, and share your thoughts.